Looking for deals in cosmetics, perfumes and nutrition ? Check out below hot deals from cosmetics & make up stores, perfume shops, Pharmacies and nutrition shops. Check out the below AED 100 offers on all your cosmetic needs at Sephora. Shop online now Free offers Get a FREE DOLCE & GABBANA Mini The Only One 2 Perfume FREE … see more..
Visit Max stores across Dubai and avail up to 70% off off on fashion clothing. Shop now! 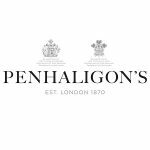 Check out the Mother’s day gift selection at Penhaligon’s. Get FREE Empressa Body Cream worth AED 315 when you spend AED 1,200 or more. Visit website now Check out the array of … see more..
Boots sale is on with discounts on cosmetics, skin care etc from renowned brands such as No7. Soap & Glory. Ted Baker. Ted Baker Mens. YourGoodSkin. Being by Sanctuary Spa. Botanics. Mark Hill … see more.. 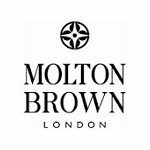 Check out the special offers on Bath & Body, Hand wash & Lotion, Men’s Collection, Replenishing Hand Creams, Hair Care, Scented Candles, Aroma Reeds etc at Molton Brown online store. Plus get a FREE gift when you spend AED … see more..
Get a special gift for your special someone from the wide selection of brands including Givenchy, Dior, D&G and much more at Wojooh stores and online. Plus buy Carolina Herrera 212 VIP … see more..